The Information Technology industry has always been affected by the swell and lull is the world of technology. There is no other industry which is so intertwined with technology where the trends have such a profound impact. In the recent years there are few trends that have emerged making organizations and corporations smarter and increasingly more productive. A brief look the emerging technologies in the past year will show that there are numerous ways technological trends influence organizations’ strategy, operations, and even investment. Some trends that get everybody’s attention would be digital transformation, security updates, and Privacy standards. However behind these were their empowering technologies of Cloud, mobility, agility, and artificial intelligence. It is not quite surprising that these are technologies that influence Business Intelligence solutions and analytical tools. Talking about Business Intelligence in particular, these solutions are not merely looked at as tools that help large organizations to reign over their different departments and optimize them, but also as tools for small and medium businesses to compete in the increasingly digitalizing world. If you are interested in how Business Intelligence solutions are helping SMBs, you can read our previous blog here. The potential for business intelligence is immense and the enabling technologies should be understood precisely to leverage the benefits of these tools to the maximum extent. 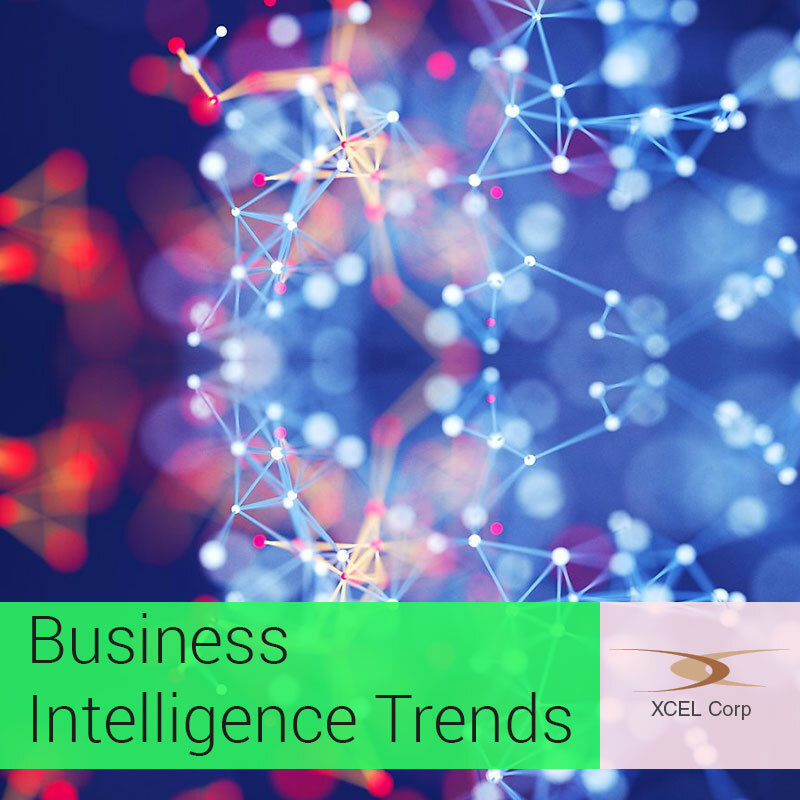 Here are the top 5 Business Intelligence trends that all businesses should watch out for. In other words, the importance of machine learning in Business Intelligence and analytics. If you have been following technical news, you would have seen a lot of spot light being harnessed by two important topics – Machine Learning and Artificial Intelligence. Machine learning is being used in Business Intelligence solutions to replace age old data gathering methods. Simply by teaching the computers to teach themselves, machines learn to perform a wide variety of actions. Machine Learning is already creating shock waves in the industry. Here are few facts to showcase its importance. Machine Learning has helped in faster and easier detection of diseases enabling doctors to diagnose better and faster. Machine learning has improved revenue for organizations by up to 20% just back tracking buyer behavior. Natural Language processing can make your BI solution to draw accurate insights from massive amounts of data in quick time. One of the basic reasons for digitalization is to enable organizations to collect, store, retrieve, and analyze data much more efficiently. This makes it easier for digital devices to analyze the data providing the users with real actionable insights about their business. This makes business ready and capable to handle the challenges of the digital era. Some of the advantages of digitalization include real-time data collection, real time data monitoring and reporting, lower costs of management, and ultimately higher customer satisfaction through providing highly customized services as per the customers’ requirements. This is what some people would like to term as the “digital mesh” where all devices, people, software, and technology are interconnected and data is free flowing. People who learn to use this phenomenon to their advantage have enormous benefits in the fields of business intelligence in the near future. Our brains are inclined to process visual data faster than anything else. So, when you are looking at business intelligence tools, data discovery and data visualizations are mandatory. In recent times, data scientists are forced to find better and creative ways to represent data visually that is easily understandable. In order to make decision making easy and error free, visual representation of data has been increased focus lately. This is one of the most important trends in BI that everyone should watch out for. Cloud is still the big thing in technology and is one of the most vital factors for better business intelligence solutions in the future. Statistics show cloud as the number 1 influencing factor for improving key critical capabilities for any Business Intelligence software. There are few factors contributing to the increase in the adoption of cloud technology in BI tools. Some of them are listed here below. Cloud enables data collection from any location across the world. This is an important necessity for organizations that are asking employees to work from remote locations. A reputed research agency claims that cloud computing is better in terms of data security as cloud is where all the security updates are implemented first. Data and analytics are useful only to the people who know to use them. We have heard what big data can do for your business far too many times but all that data would be of no value if there aren’t any people to draw insights from this data. With the increasing demand for BI solutions in the near future, data scientists would be sought after with fervor. Some estimates claim that by 2019, there would be a shortage of data scientists ranging from 300,000 – 180,000. Whatever the number might be, it is still quite staggering with the importance given to business intelligence in recent times. XCEL Solutions Corp is a leading Business Intelligence Solution provider with over 15 years of experience. Using cutting edge technology and internationally approved business best practices, we could help set up a Business Intelligence tool that could transform your business. Visit our website now for more information.